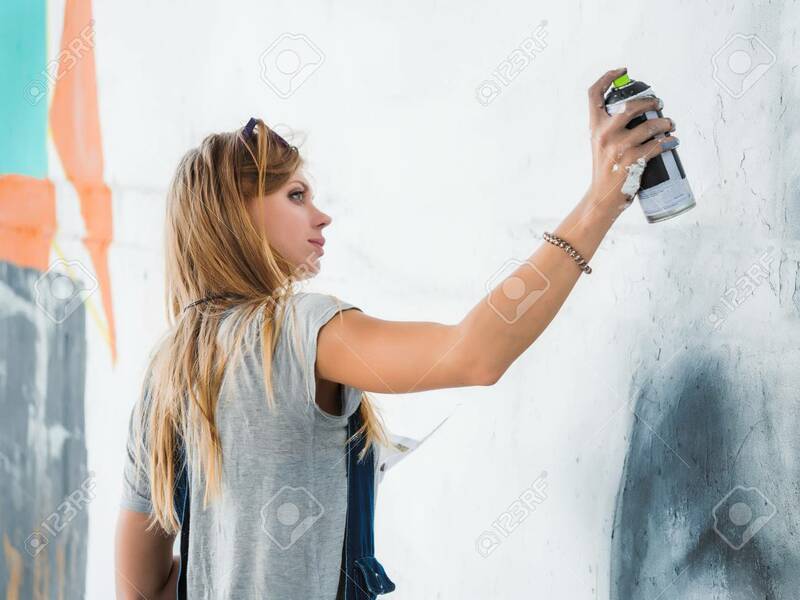 Beautiful Young Blonde Girl Making Graffiti Of Big Eye With Aerosol Spray On Urban Street Wall. Creative Art. Talented Student In Denim Overalls Drawing Picture Foto Royalty Free, Gravuras, Imagens E Banco De Fotografias. Image 112150718.